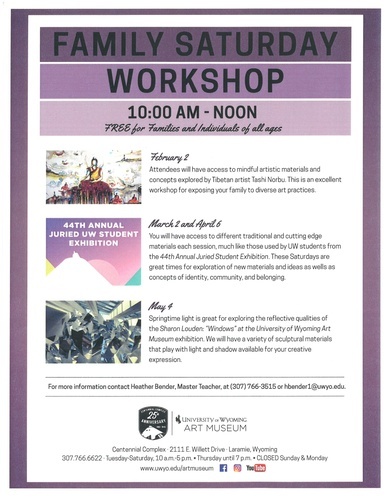 Join the UW Art Museum for their Family Saturday Workshop events on the first Saturday of each month, February - May 2019! At February's event, attendees will have access to mindful artistic materials and concepts explored by Tibetan artist Tashi Norbu. This is an excellent workshop for exposing your familiy to diverse art practices.